The ResMed DC-24 Converter allows you to operate S8 ResMed VPAP™ Auto 25 and VPAP™ ST Machines that run only on a 24V DC power source. 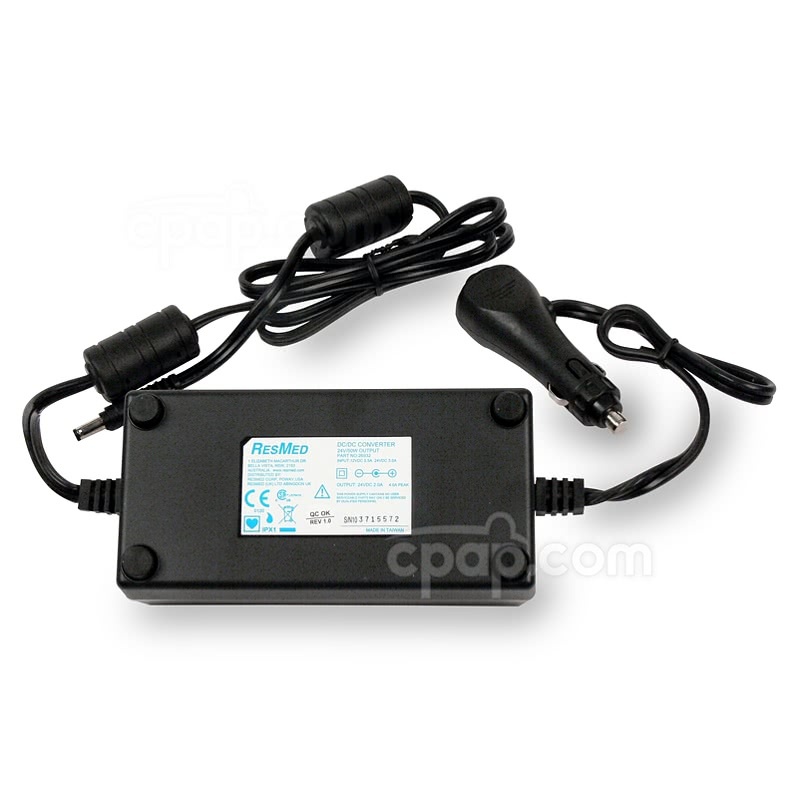 This converter increases all 12 Volt batteries into 24 Volt DC power. The DC-24 Converter For S8 ResMed VPAP Auto 25 and VPAP ST Machines consists of the converter box, a 14" cord extending to the cigarette lighter socket and a 48" cord extending to the machine end DC connection pin. The entire length of this product is 67 3/4" long. This measurement does not include the length of the cord end connections but does include the length of the converter box. 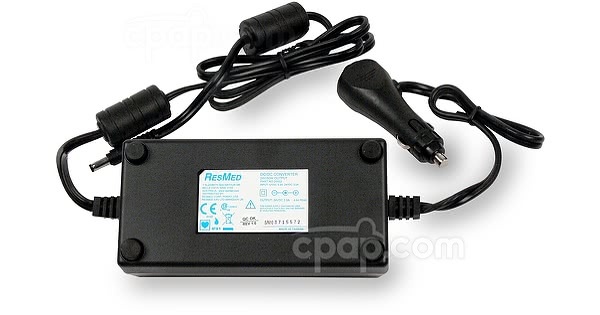 YOU MUST USE THIS converter in conjunction with any battery source, when using ResMed VPAP Auto 25 and VPAP ST Machines. Failure to do so can result in damage to your CPAP. This is the only product that you should use to power the VPAP ST or VPAP Auto 25 from a DC source. If your ResMed CPAP machine is not listed, then visit the DC-12 Converter For S8 Machines for more options. If you would like to use a heated humidifier, then this cord will not work. You will need a Pure Sine Wave DC Inverter to generate a clean, Alternating Current (a/c) power. Inverters without a Pure Sine signal may fit, but will blow out the S8 power supply (no kidding, we have found out the hard way). The polarity is different from most 12 volt cables and the inverter provides needed power smoothing.